Multiunit systems rely on the capacity to socially interact. For example, multicellular organisms, such as ourselves, comprise differentiated tissues that are composed of tens of billions of cells, which all have the capacity to communicate and cooperatively interact with one another, sometimes leading to a strong division of labor and interdependence. 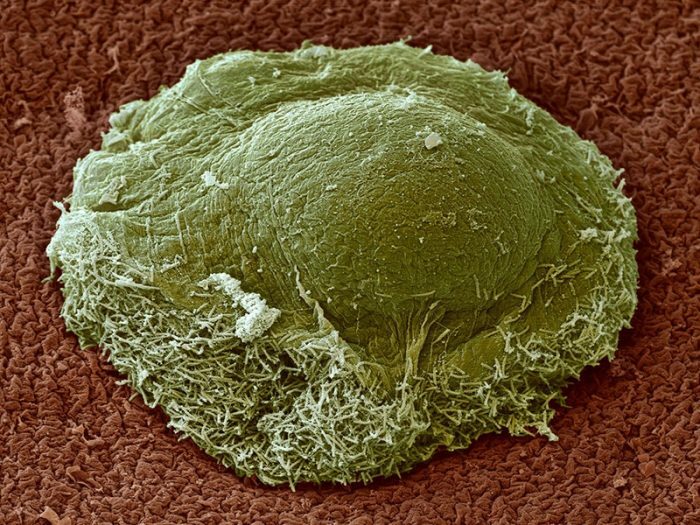 Sometimes, mutant cells may arise, which can deviate from their cooperative ways and follow their own selfish interests, potentially leading to cancerous cell growth, thus jeopardizing the survival of the group as a whole. A great many single-celled microorganisms, including bacteria, interact in similarly versatile ways: they form communities and exchange useful resources amongst each other, and sometimes cheaters arise via random mutations that can scavenge public goods produced by the cooperative group but which do not contribute more of the exoproduct, thereby gaining an advantage over the producers. The bacterium Myxococcus xanthus is especially cooperative. It can be found in terrestrial soils worldwide and serves as a model to better understand microbial social evolution and development. This predatory bacterium forms large groups of cooperators in soils which collectively swarm and hunt other microbial life. They produce and secrete special lubricating molecules in order to facilitate group movement with the help of retractile appendages that are cast out and attach to the surface or other neighboring cells. 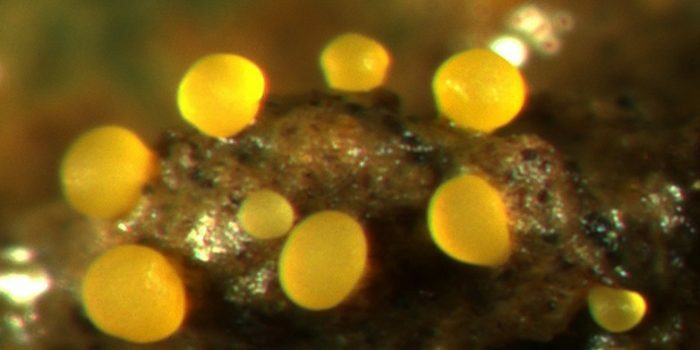 Finally, in response to starvation, tens of thousands of these bacterial cells can aggregate into large fruiting bodies, which increase their chance of surviving both starvation and desiccation stress. On theoretical grounds, cooperative groups of microbes might be expected to be socially and genetically homogeneous to prevent conflict between unrelated cells that would undermine cooperation. Importantly, genetically different individuals derived from distinct social groups have been previously shown to generally avoid, hinder, or even fight one another. However, knowledge about the exact genetic composition cooperative groups of bacteria such as M. xanthus fruiting bodies in nature is extremely limited. Thus, we set out to more closely examine the genetic and phenotypic relationships between members of such fruiting body groups of M. xanthus in patches of terrestrial soil. In our recent article published in Science, we analyzed the whole genomes of 120 individuals derived from six distinct fruiting body groups. We found that they are kin groups consisting of very closely related cells descended from a recent common ancestor. Despite being composed of close kin, these groups harbor an unexpectedly high degree of variation in genotypes and social behavioral phenotypes. From detailed patterns of genetic variation, we could infer that the groups consist of diversified cell lines that appear to have co-existed in many cases for hundreds of generations. We further inspected genetic variation along the branches of these networks and also mapped observed social behaviors onto the group phylogenies. These data revealed that the high diversity of behavioral patterns within groups was due to strong natural selection that focuses on a small number of “social” genes controlling the social habits of myxobacteria. Mutations in such “selection hotspots” caused a variety of behavioral changes, which ultimately yielded highly diverse societies of cells with varying degrees of spore production and swarming speeds, the latter of which should also affect the group’s cooperative hunting abilities. These results suggest that specific combinations of diversified cell lines may be more successful in nature than others, potentially due to a more flexible behavioral repertoire to respond to environmental changes more effectively. As such, “cultural diversity” may sometimes promote evolutionary success in our focal soil microbe. Single-celled life is omnipresent on our planet, and it serves pivotal functions for our everyday lives: for example, as probiotic inhabitants or pathogens of our intestinal flora, or as microbial partners and antagonists in food production. 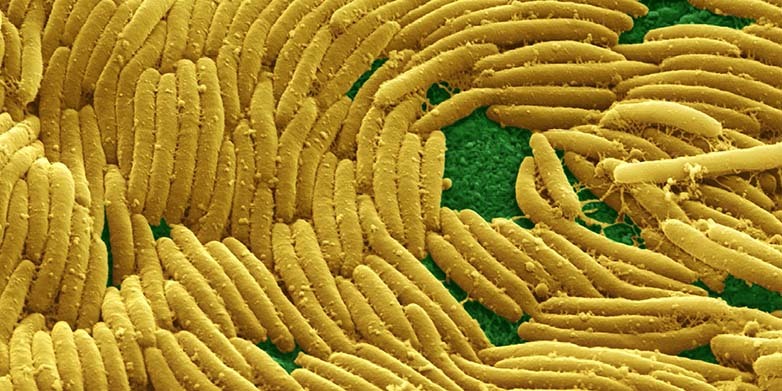 Many of these microbes combine into large, cooperative cell groups in nature. We believe that our insights help to better grasp the genetic and behavioral properties of such cooperative groups in general. This may further our understanding of how cooperation can be a successful strategy and how we may be able to use this information — for example, in fending off pathogenic types of social bacteria, including the important pathogen Pseudomonas aeruginosa, which infects immuno-compromised patients and causes serious long-term infections. These findings are described in the article entitled Social genes are selection hotspots in kin groups of a soil microbe, recently published in the journal Science. Sébastien Wielgoss is a research scientist at the Institute of Integrative Biology, Department of Environmental Systems Science, ETH Zürich, Zürich, Switzerland.